UPDATE: 5/22/13 – combination of relief and anger is going through social media and the community as a man is arrested for the murder of a 15-year-old Maine teen. Kyle Dube, 20, of Orono met Nichole Cable, of Glenburn a couple of months ago, Tyler-Ann Harris a 16-year-old friend of Nichole’s told KSDK news. Evidently the two had been on Facebook together and had arranged to see each other the weekend before she went missing. Read more here. 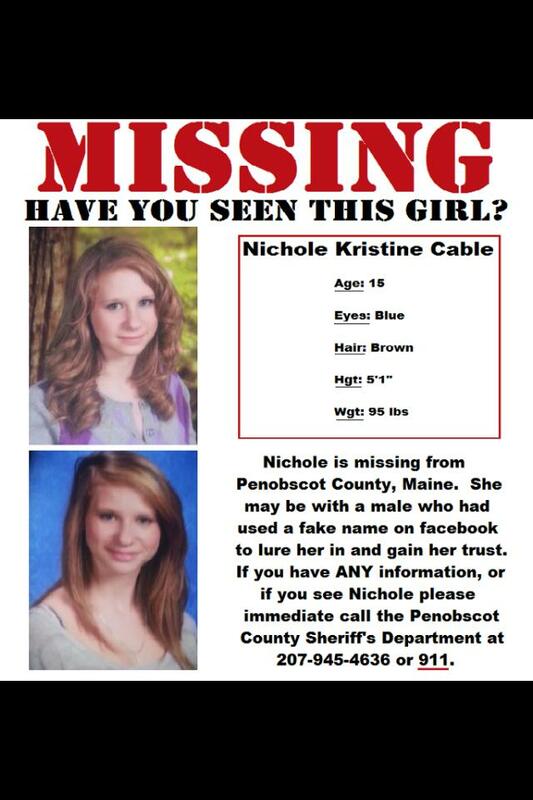 UPDATE: 5/20/13 – Police believe they have the body of missing Nichole on Monday around 9:30 p.m., according to a spokesman for the Maine Department of Public Safety. 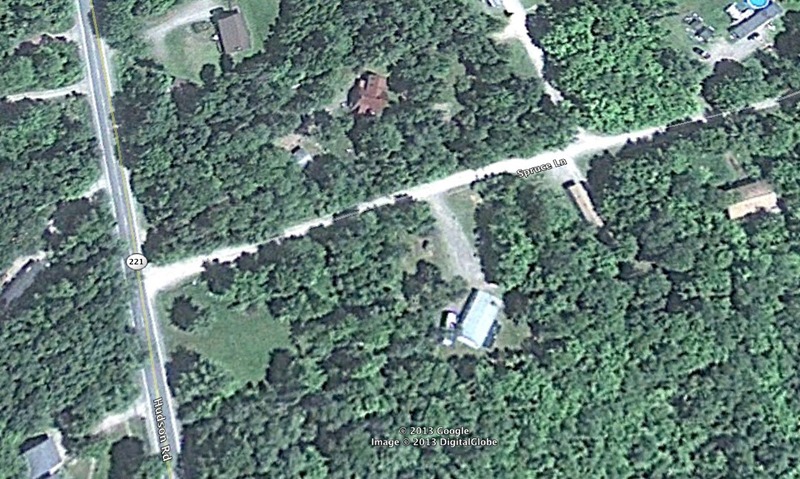 In a news release issued at 11:30 p.m., Stephen McCausland said a body was found by the Maine Warden Service in an undisclosed wooded location and that the state medical examiner’s office would make a positive identification on Tuesday. There will be a news conference Tuesday at 10 a.m..
Read more here: Was it a diabolical plot to abduct Nichole Cable? 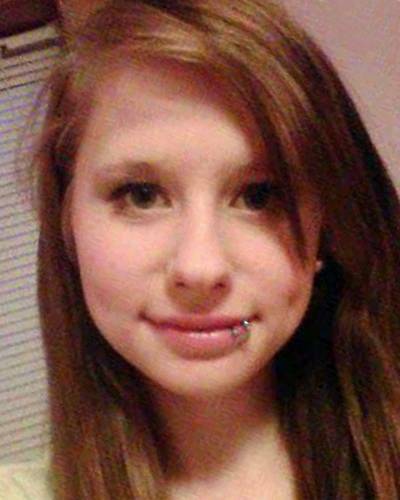 Nichole “Coco” Kristine Cable, 15, from Glenburn, Main has been missing since May 12, 2013. Around 9 p.m. that night Nichole went out to the driveway in front of her house to meet a person using a fake name that she met on Facebook. The Facebook page with the fake name has been taken down and no one has a description of who Nichole may have gone with. Cable is 5’3″ tall, 90 pound with light brown hair and blue eyes. She was wearing jeans and a pink sweatshirt. If you have any information please contacted the Penobscot County Sheriff’s Department at 207-947-4585. Cannot Facebook give some clues to the person, you have to put in an email and other info. 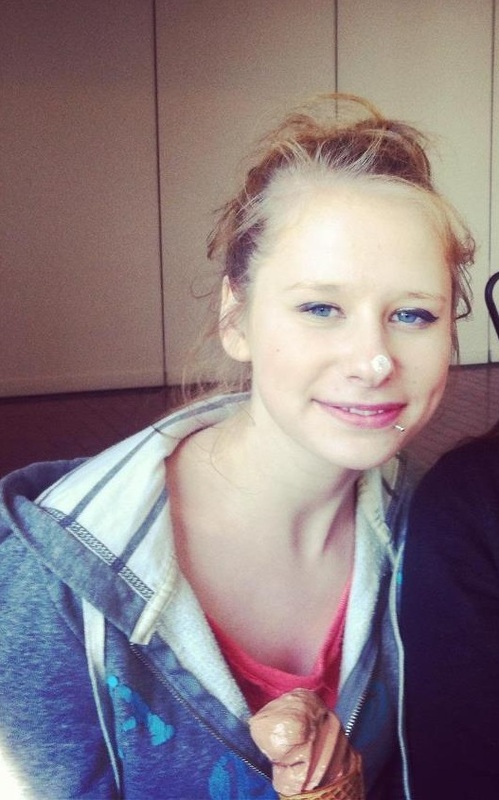 surely they will help police find this girl. There is going to be a press conference this afternoon and maybe at that time the police will give out more info.